The title says it all. The guys at O’Reilly have given a generous 20% off the ticket price for this year’s Where 2.0 conference to anyone involved in OpenStreetMap. OpenStreetMappers always make a prominent appearance at Where 2.0 and this year is no exception. To get your discount, use the code “whr09osm”. If you’re in the Bay Area for Where 2.0, make sure you come along to WhereCamp, the unconference for geo-hackers, mappers and location people. You can find out more about WhereCamp here. This entry was posted in fun, media on April 29, 2009 by Nick. 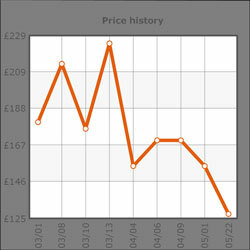 There has been a significant and welcome downward trend in the price of some handheld GPS units in the last couple of months. For instance, you can now pick up a Garmin eTrex Legend HCx, which has the newer high sensitivity receiver chip and can display OpenStreetMap mapping (using mkgmap), for £139 in the UK, â‚¬185 in Germany and $197 in the US (prices compared at Amazon). What’s more you can include a 2GB micro SD card for a little over an extra £1 in the UK. These prices might still be twice those of a basic non-map logging setup and you may still be able to get cheaper prices outside your country, or by bidding for instance for non European models on ebay, but it’s still a big change in the market since Christmas. If you were ever thinking of dipping your toe in the OSM mapping game then it’s probably never been a better time to do so. This entry was posted in bits, fun on May 23, 2008 by Andy Robinson. 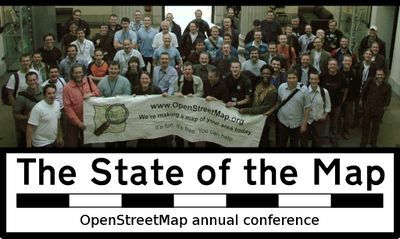 The State of the Map 2008 international OpenStreetMap conference website and blog is now live and the call for participation/papers has gone out. Speaker slots are limited and like last year are bound to fill up quickly, so send us your abstracts! The conference is being held at the Kilmurry Lodge Hotel in Limerick, Republic of Ireland on 12th and 13th July 2008. This entry was posted in fun, geodata, media, party, workshops on March 14, 2008 by Andy Robinson. This entry was posted in fun on March 8, 2008 by Steve Coast. Remember when you book your flights to Where 2.0 that WhereCamp is afterward on May 17-18th at the Googleplex in Mountain View, CA. WhereCamp at Yahoo! last year was a total blast and I’m hoping for more werewolf games! This entry was posted in fun on February 12, 2008 by Steve Coast. Check out this lovely historic animation over here of OSM over the years. This entry was posted in fun on January 24, 2008 by Steve Coast. We at ZXV are working for a week to improve OSM. So far today we have Xin getting up to speed with OSM, Nick looking at name finder and I (SteveC) have added the friend map to the default user page and closed bug 578. We’ll be keeping our blog up to date. This entry was posted in fun on January 21, 2008 by Steve Coast. This entry was posted in fun on January 20, 2008 by Steve Coast.